For the first time in at least 100 years, a pair of bald eagles is nesting in NYC, and now, it appears the female eagle has laid eggs, according to a report by the New York Audubon Society. The organization cites reports by local bird observers on Staten Island, who confirmed the pair has nested on the south shore of the island, and have nicknamed the male eagle "Vito," which is fitting because Staten Island. The news comes after a winter full of bald eagle sightings across the city and reports that a pair of the iconic, American eagles were nesting on the north shore of Staten Island; however, it now appears that pair did not stick around and breed, according to Audubon. 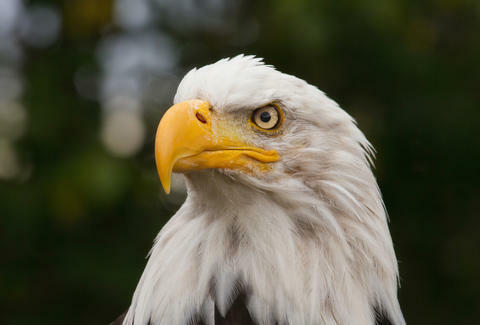 The Audubon Society said the fact that bald eagles are now nesting in NYC for the first time in a century shows how effective recent conservation and environmental cleanup work has been, but warns that New Yorkers should appreciate and protect the city's rare and endangered residents. With that said, the eagles' exact location has not been disclosed in order to protect them from poachers and probably other sickos who hate America. Tony Merevick is Cities News Editor at Thrillist and has, unfortunately, only seen bald eagles in captivity. Send news tips to tony@thrillist.com and follow him on Twitter @tonymerevick.